Mubarak al-Fadil: those who call for the dismantling of the government are (buying the saddle before owning a horse). Sudan and Egypt agree on urgent action to follow up the situation of citizens in the two countries. Tehran refuses to hand over Sudanese citizen to Khartoum. 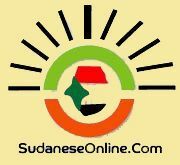 NCP calls for an international investigation on the killing of Sudanese in Egypt. Sudan and Ethiopia agree to establish free trade zones on border of the two countries. Britain grants Sudan USD 10 million dollar to fund water and environmental sanitation projects. Moataz Moses :will not use the Nile water as a weapon against Egypt. Defense Minister vows to fight the insurgency and restore Kauda. Khartoum Hospital for Tumors: Death of (65%) registered on the waiting lists. Federal Health Ministry announces its inability to access (4890) children in conflict zones. Al-Bashir to visit UAE next week. Army plans to secure the border with Egypt and Ethiopia. Minister of Electricity: Renaissance Dam preserves Sudan's share of the Nile water. Ki-moon calls for deployment of additional peacekeeping troops in South Sudan. Ministry of Mineral: A technical team visits South Darfur to study mining squares. Cairo rejects UN call to investigate killing of Sudanese citizens. Mbeki calls on the parties to the preparatory meeting on December 7 in Addis Ababa. كم تبقى من الـــ (مائة وثمانون يوماً) للخطة الشاملة لإصلاح حال الدولة السودانية؟!